An alien shuttle craft lands outside the Royal Ontario Museum in Toronto. A six-legged, two-armed alien emerges and says, in perfect English, "Take me to a paleontologist." In the distant past, Earth, the alien's home planet, and the home planet of another alien species, all experienced the same five cataclysmic events at the same time (one example: the meteor that wiped out the dinosaurs). Both alien races believe this proves the existence of God: i.e., he's obviously been playing with the evolution of life on each of these planets. From this provocative launch point, Sawyer tells a fast-paced, morally and intellectually challenging story of ambitious scope and touching humanity. 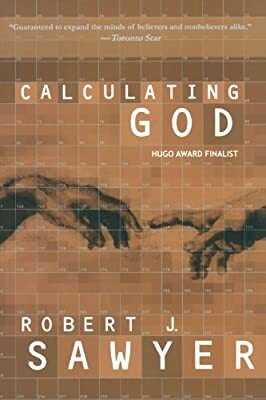 Calculating God is SF on a grand scale.